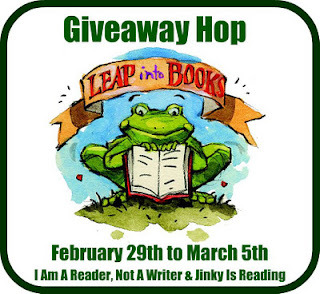 From Feb. 29 through March 5, you can enter hundreds of giveaways through the Leap Into Books blog hop. 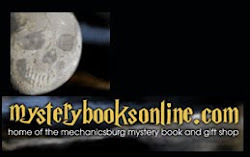 I'm participating on both my blog, Cate Masters, and at TBR. Just look for the Leap Into Books button and click on it to take you to the post where you can enter for some great giveaways! A contemporary twist, that is. 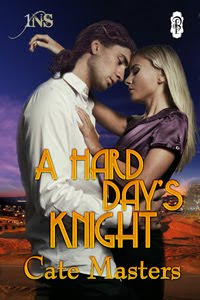 Add a dash of magic, a sprinkle of time travel that sends a knight into the future, and a girl who could pass for Lancelot's love from medieval times, and you have A Hard Day's Knight, released today from Decadent Publishing. Yes, the title's an homage to my infatuation with The Beatles. I think I was the youngest Beatlemaniac. But I also fell in love with Arthur and his knights after reading The Once and Future King. Any of your childhood tales still inspiring you today? Today I'm celebrating my release at the Decadent blog, as well as at Amber Leigh Williams' blog. I hope you'll pop over and say hi. I'm a sucker for the "happily ever after" ending, so even I was a little surprised at how my story Not a Prince turned out. The title says it all. This is not a waiting-for-my-prince type of fantasy story, but it speaks more to the darker impulses we all harbor. So, what do you think of the story? Do you prefer stories with happy endings? Or do you like a good shiver now and then?